this sighting was crazy. I live in Portland, and was on my way to an indoor soccer game in the Industrial SE area. The morels were on a 14" wide strip of landscaping on the corner of a 5 lane boulevard. 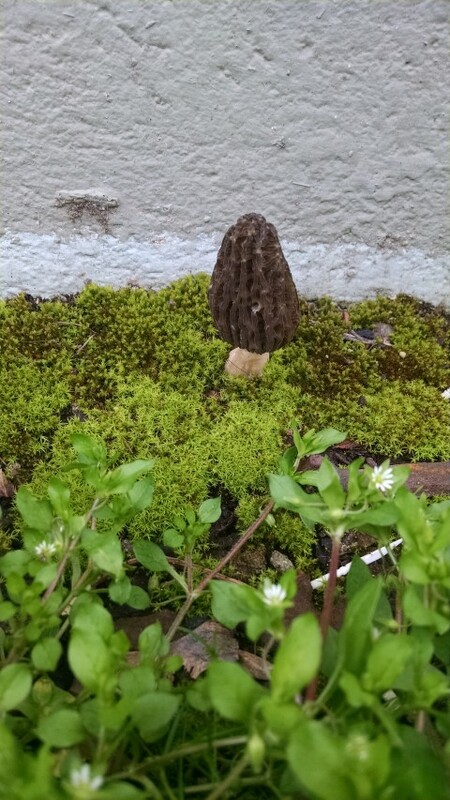 I have hunted for morels at least 5-7 times with no luck in very prime locations during verified flushes. I had to do a triple take it was so unexpected. You can see the building in the background of the first pic. Unfortunately they were just a few feet away from bum piss so I definitely let them stay where they were.